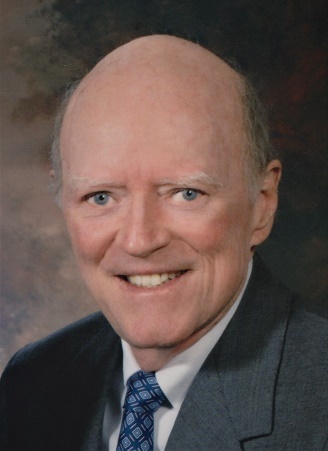 William C. (Cunningham) Phelps, the 40th Lieutenant Governor of Missouri, passed away in Houston, Texas, March 19, 2019 following a short illness. Phelps was elected Lieutenant Governor of Missouri in 1972, serving under Governors Christopher S. (Kit) Bond and Joseph (Joe) Teasdale, 1973-1981. In 1972, following six terms in the Missouri House of Representatives representing the Country Club Plaza District of Kansas City, Phelps became the first Republican in 44 years to be elected to the office of Lieutenant Governor in Missouri. Few officeholders have a vision for an office that permanently changes the expectation of the office. Until Phelps’ tenure, the office had been considered to be part-time with the occupant frequently continuing to practice law. Campaigning as "Full Time Phelps" he set a new standard for service by giving up his law practice for the next 8 years. Lieutenant Governor Phelps established the Ombudsman Program, the Missouri Volunteer Office and a college internship program. Under his personal guidance college students gained real “hands on” government experience, learned the noble calling and sacred trust of public service while minimizing the cost of these new initiatives to taxpayers. This internship program included college students who went on to have successful careers in the public and private sector. Bill Phelps, born in Nevada, MO on April 5, 1934 to Dr. Dean and Irene Myers Phelps, attended the Nevada schools where he played football and basketball and was Valedictorian of his class. He received a degree in economics in 1956 from the University of Missouri-Columbia, was selected to be a member of Mystical Seven, based on good deeds, selfless leadership and service to the campus and a member of the Beta Theta Pi fraternity. He completed his active duty service with the US Army after being commissioned by the ROTC as a second lieutenant on graduation day in 1956. Phelps graduated from the University of Missouri School of Law in 1959. He joined the law firm of Morrison, Hecker, Cozad and Curtis where he met Joanne Ronchetto, who became his wife in 1972. After leaving politics in 1981, he joined American General Corporation in Houston, Texas, retiring in 1996. Bill and Joanne split their time between their homes in Houston and Kansas City. Bill was a member of the Kansas City Country Club, the Rotary Club of Kansas City and past President of the National Federation of Pachyderms. He was also active in the Fair Tax movement, advocating replacing the Federal income tax with a national sales tax. In his lifetime, he earned the nickname of "Smiley" along with "Full Time". His personality and perseverance were his trademarks. He is survived by his wife of 46 years, Joanne. Others include Myers cousins, Phelps cousins and the Ronchetto family. Bill also leaves behind many friends across our country. The family expresses sincere appreciation to the Lopez family for their love and care during his illness. Funeral services will be held at Grace and Holy Trinity Cathedral, 415 W. 13th St. Kansas City, MO 64105 at 10:30am on Monday, March 25, 2019 with a reception to follow. 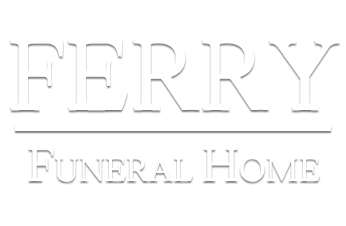 A Memorial service will also be held at the Ferry Funeral Home, 301 S Washington, Nevada, MO at 3:30pm with interment to follow at the Newton Burial Park in Nevada. In lieu of flowers, contributions can be made to the Lt. Governor William C. and Joanne Phelps Foundation, which provides scholarships for graduates of Nevada High School: Nevada R5 Foundation, C/O 800 W Hickory, Nevada MO 64772 or to Grace and Holy Trinity Cathedral.